I have been pondering lately what to make for my husband in celebration of Valentine’s Day. 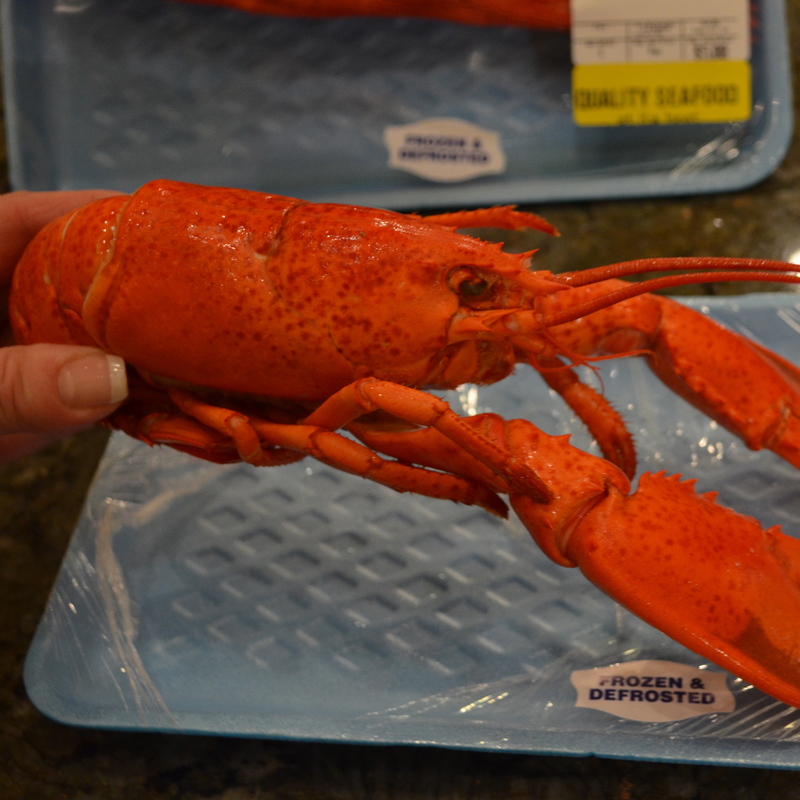 So low-and-behold I was surprised to find small, cooked, whole lobsters on special at my local supermarket. I think that because Valentine’s Day is around the corner, Stater Bros felt people like me might want to cook up a romantic Valentine’s Day dinner for someone special. 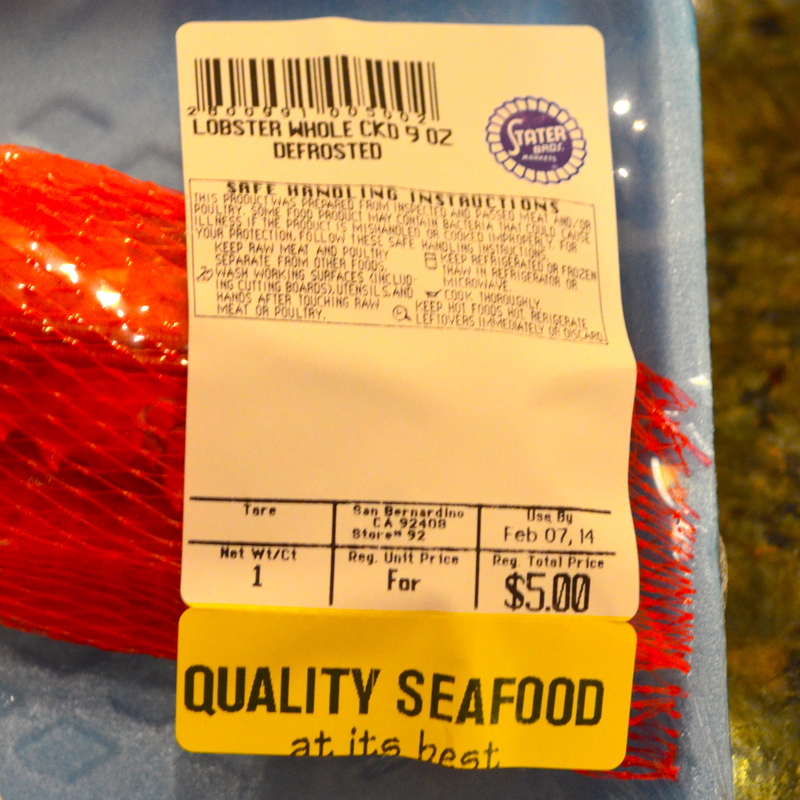 They were selling these lobsters for a mere $5 dollars each, which in these-here-parts is a real steal! So, I bought myself 4 of them. 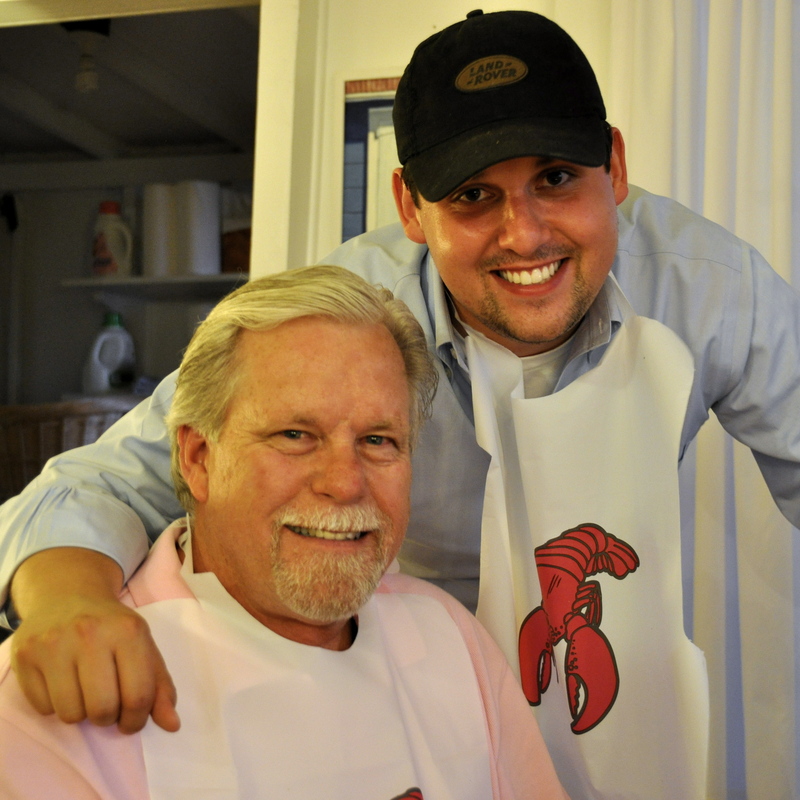 from a nice lobster fisherman with the such a heavy Maine accent I had trouble understanding him. 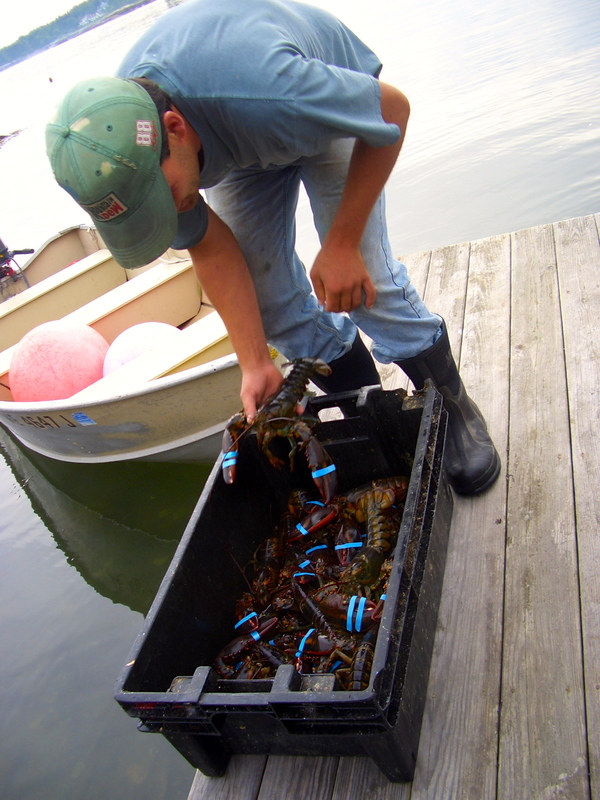 But that was perfectly OK, because what I did understand was that he was going to sell us a whole bushel load of lobster for a mere $2.75 a pound! 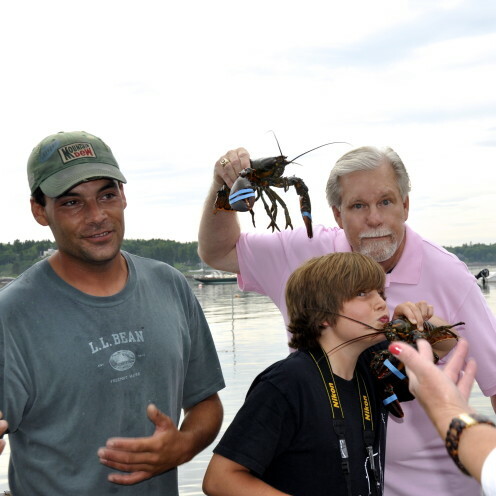 We were so happy we could kiss him! 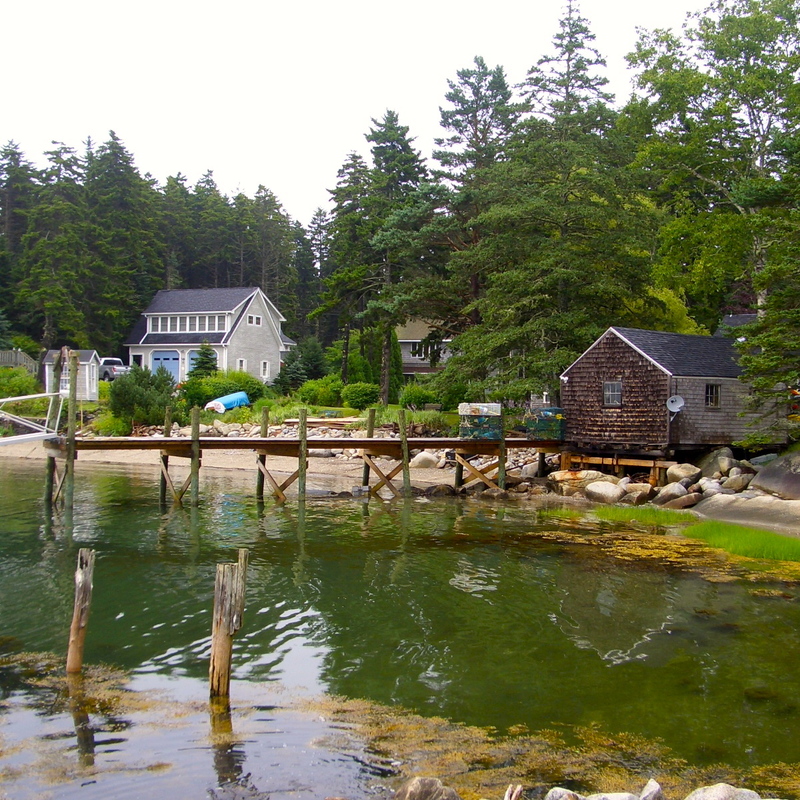 You have to understand that I live in California, which is 3,000 miles away from the lovely shores of Maine. 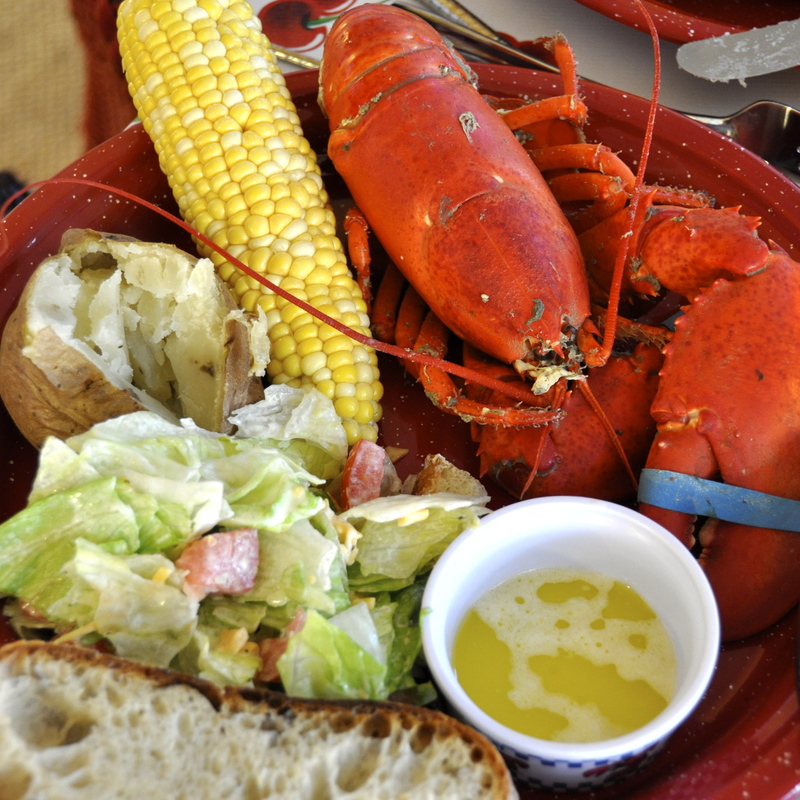 Here in California, lobster is a real delicacy, reserved for special occasions. 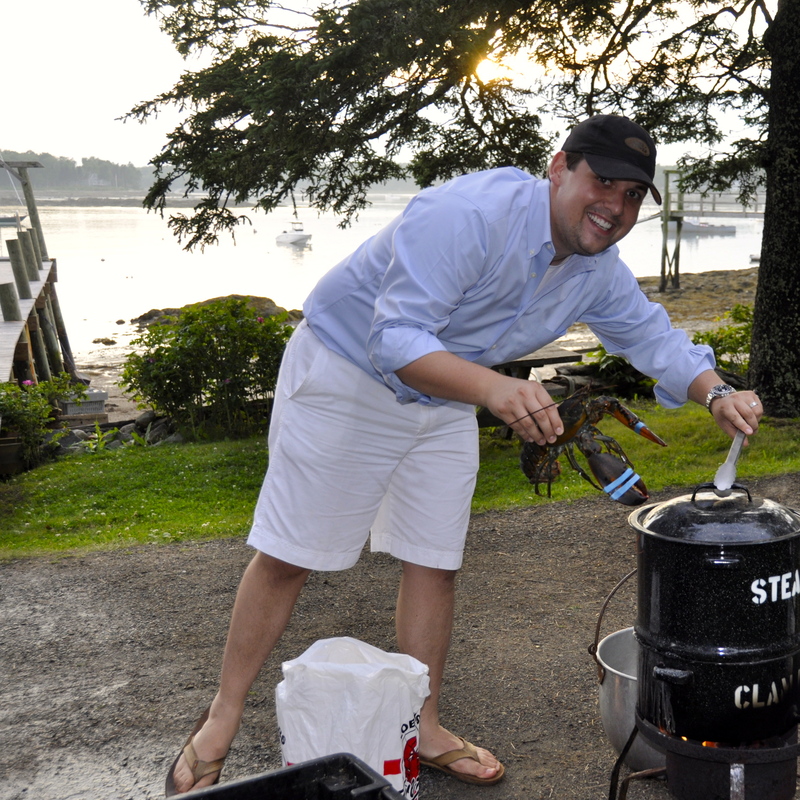 It’s not every day that we get to eat lobster, steamed up right in the back yard by my son Nathan. No, this kind of a feast is rare for us left-coasters. So, we savor the delicious memories of lobster days gone by when we donned bibs in anticipation of a glorious lobster feast. When we could stuff ourselves with pure abandon to our heart’s content. 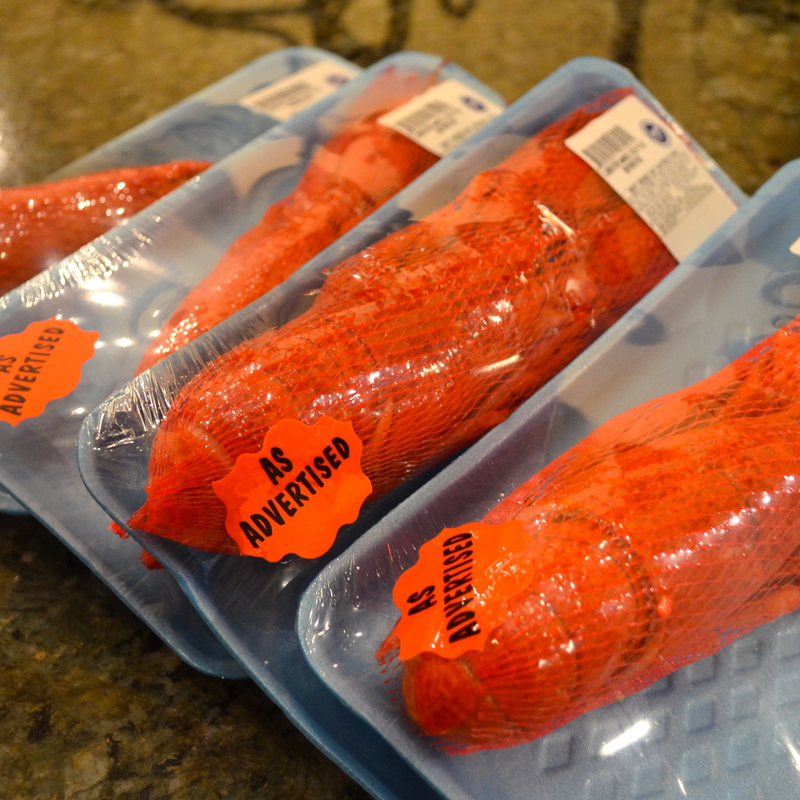 Now, we settle for the tiny store-bought, pre-cooked variety, frozen and defrosted, and only when they are on sale. …………. 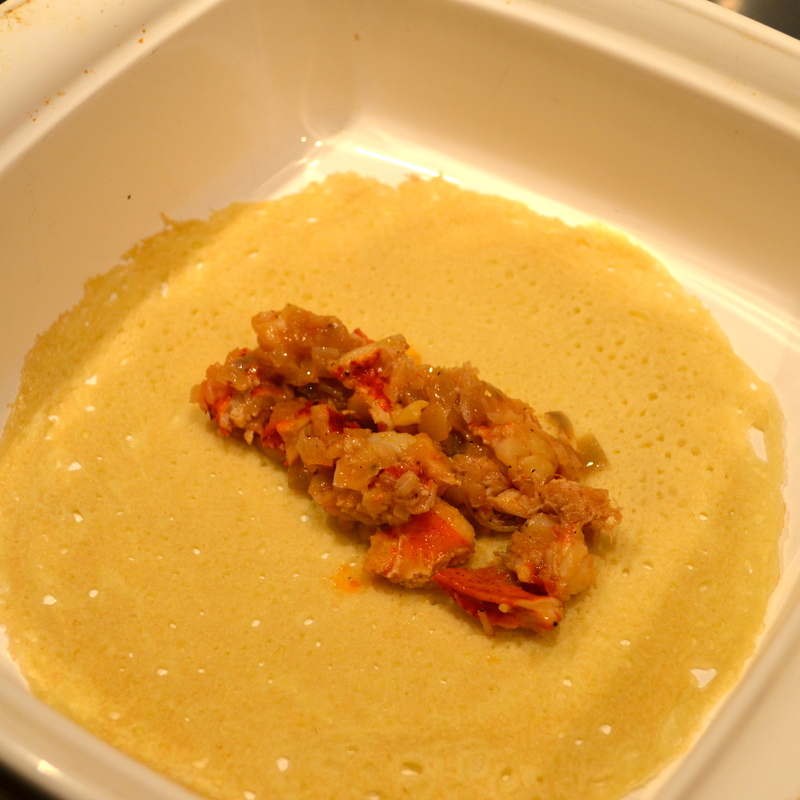 and when you realize it was only a dream, you go ahead and make “Lobster Crepes”. 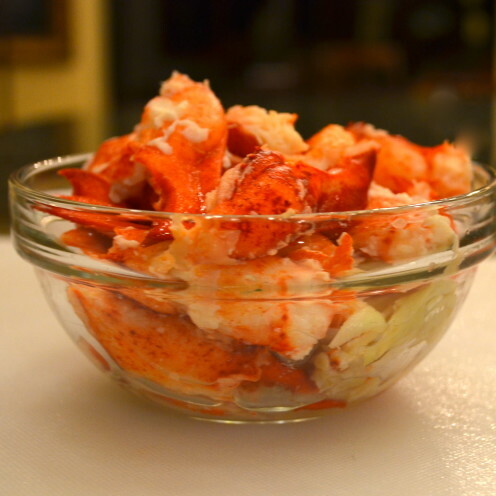 Which I think just happens to be a perfect thing to make for Valentine’s Day. So, to do that you start by preparing a batch of the “Spanish Style Crepes” known as “Filloas” that I showed you how to make here in my previous post. 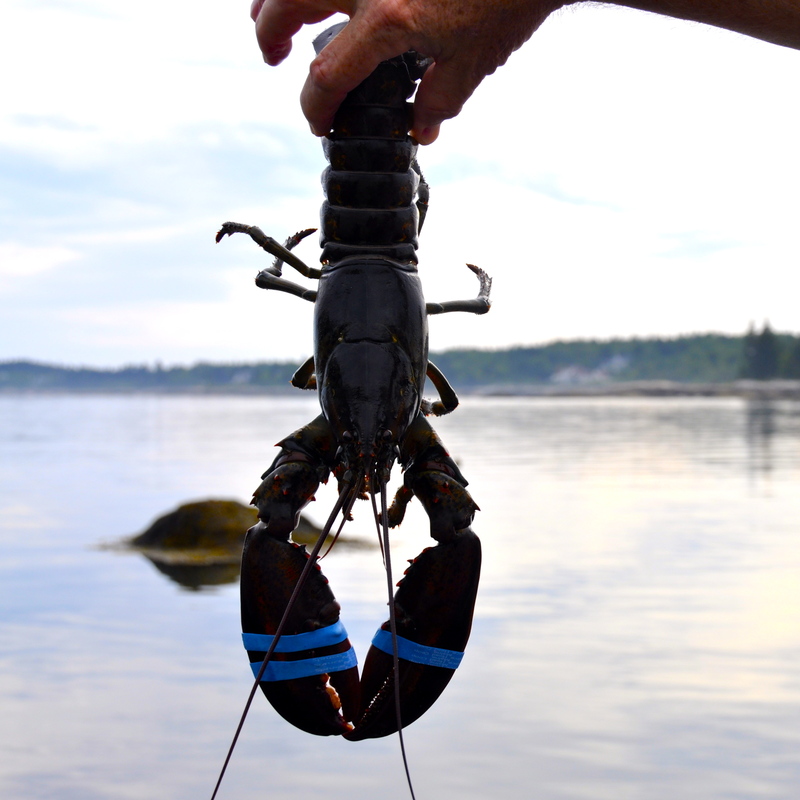 Once you have a batch of those made up, you can make your lobster filling. Here’s how ya do it. 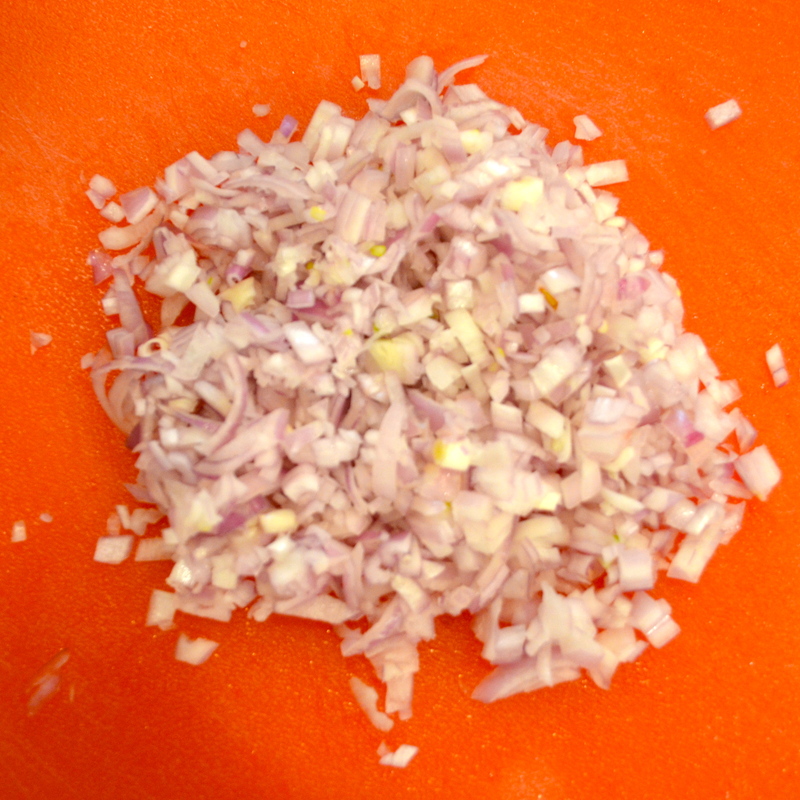 Take 3 large shallots and mince them up nice and small. 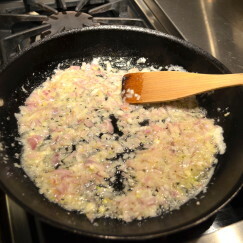 Melt 3 tablespoons of butter in a large skillet and add the minced shallots. 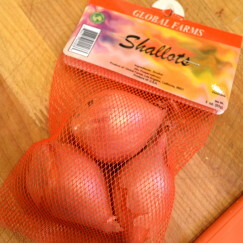 Saute the shallots until they are soft and translucent. 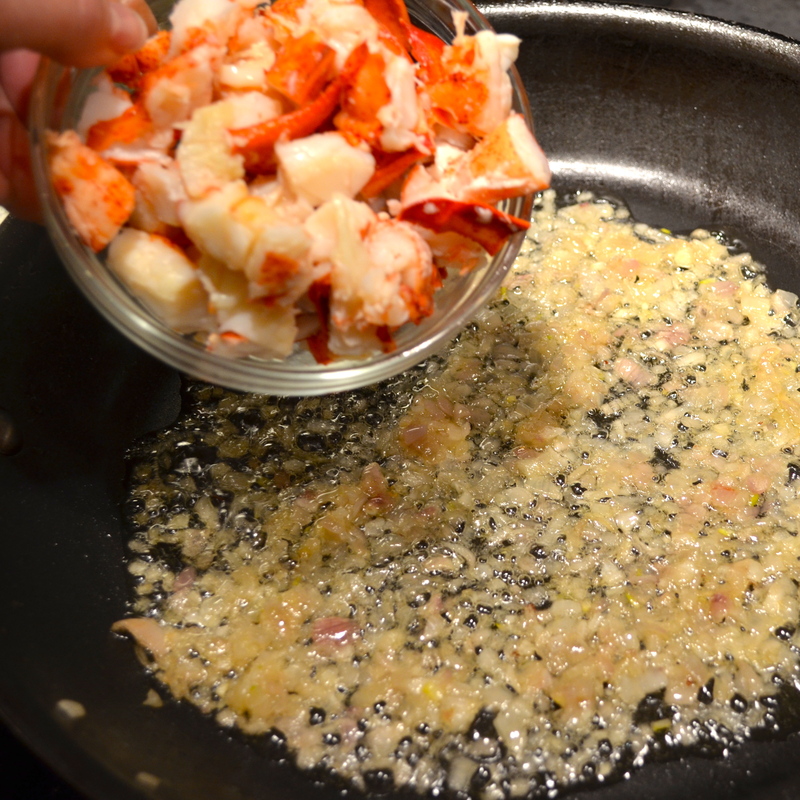 Add the cubed lobster meat (about 2 Cups) to the cooked shallots. 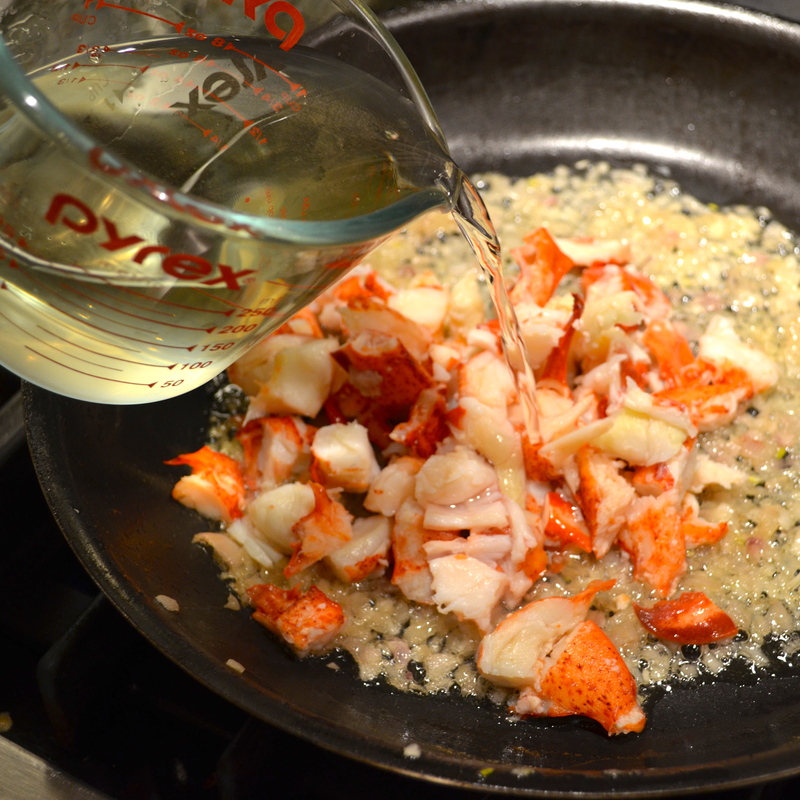 Next, pour in 1 Cup of dry white wine. 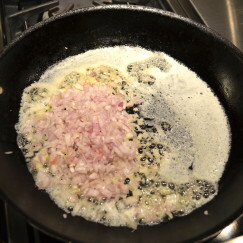 Add a little Kosher salt & freshly ground pepper to taste. 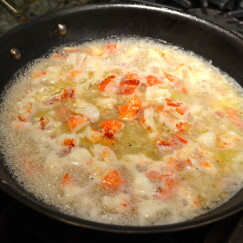 Then simmer on low heat until the liquid is reduced to half. In a separate small skillet, melt 3 tablespoons of butter. 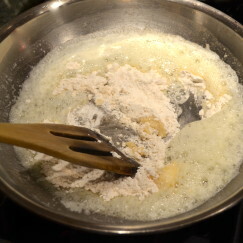 Add 1/4 cup of flour to the melted butter . 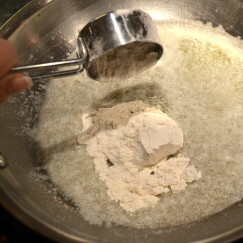 Stir constantly until the flour is browned slightly. 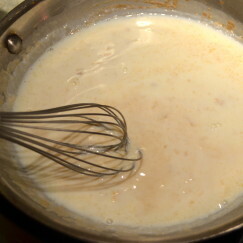 Add 1 cup of half & half. I like to use fat-free half & half. 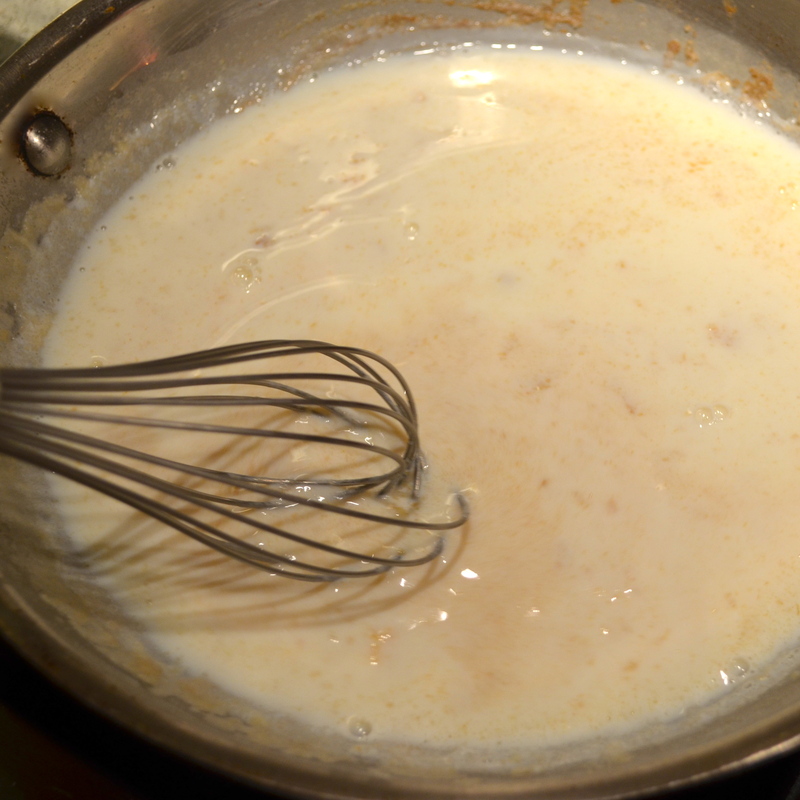 Using a whisk, stir the white sauce constantly until it begins to thicken. 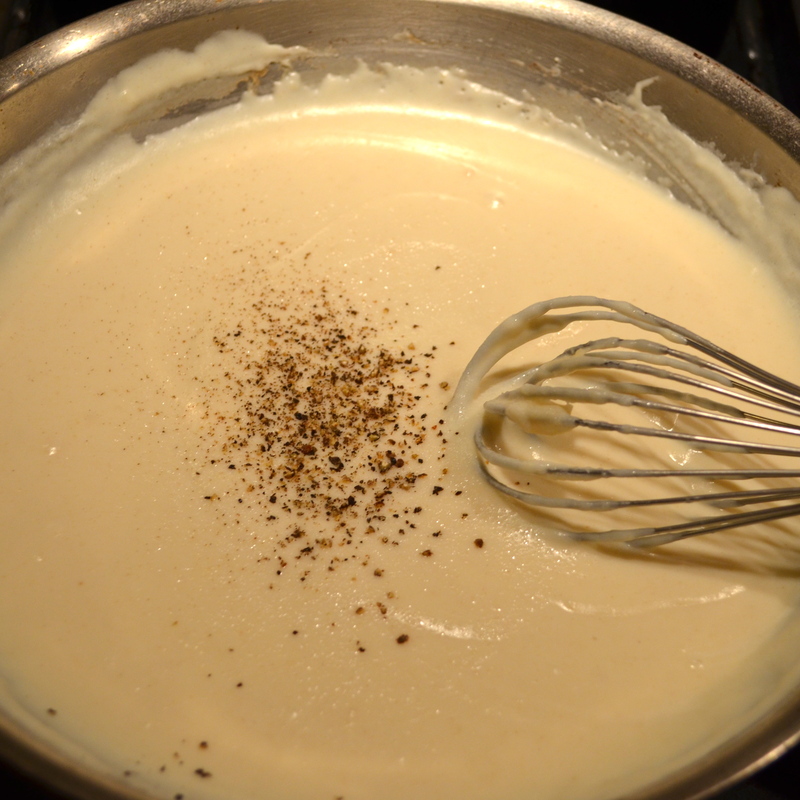 Then whisk in freshly ground pepper and Kosher salt to taste. 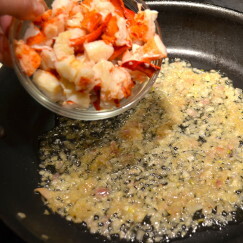 By this time, your lobster sauce will have reduced by half and you will be ready to assemble your lobster crepes. 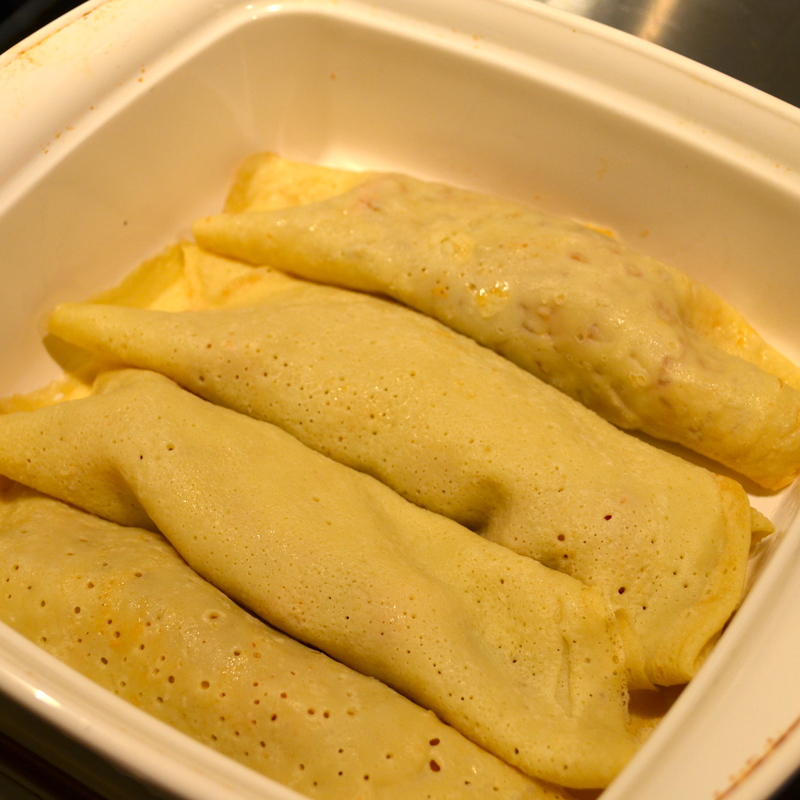 Fetch your crepes and place one in the bottom of a greased baking dish. 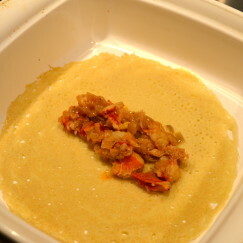 Spoon one fourth of the lobster sauce onto the center of the crepe. 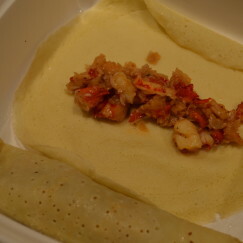 Roll up the crepe, placing the folded side down. Repeat until you have prepared 4 crepes. 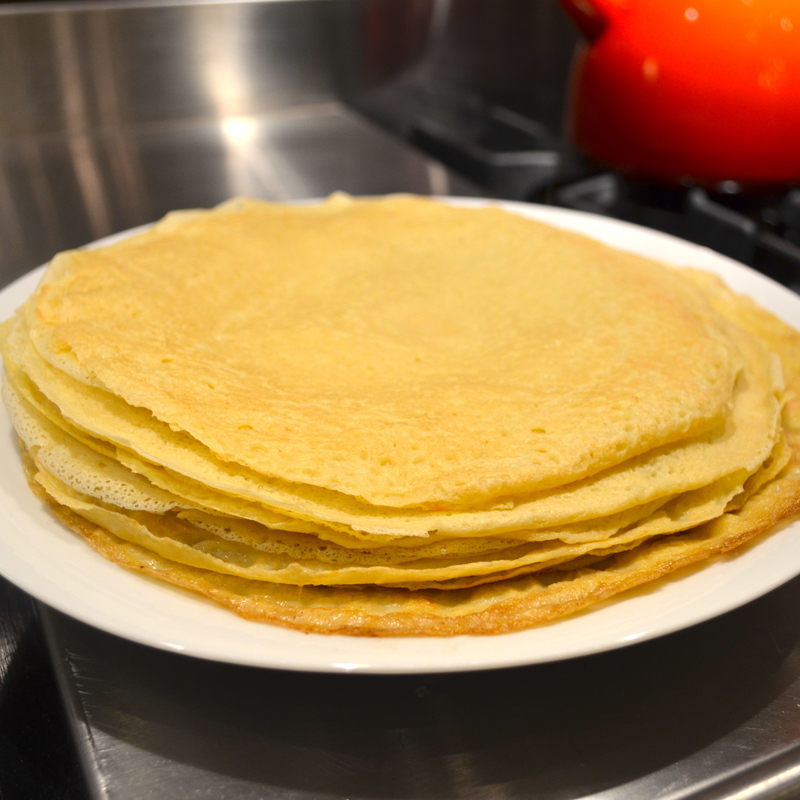 Using my recipe for the Spanish Style Crepes (called Filloas) you will have lots leftover. So go ahead, make crepe suzettes for desert! I’ll have to teach you how in a future post. 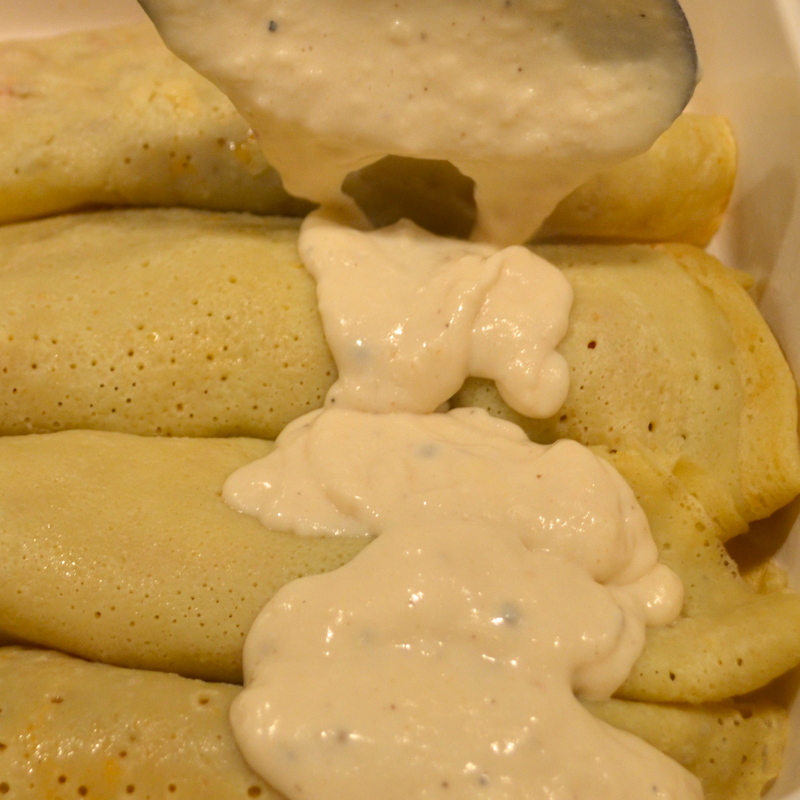 Now, fetch your cream sauce and spoon it over the filled crepes. 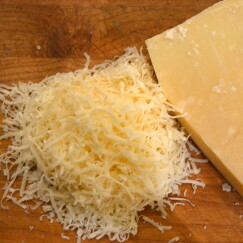 Using the small side of your grater, grate about 1/4 cup of fresh parmesan cheese. 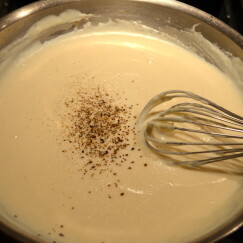 Sprinkle it over the white sauce. Now, I will say, that in general, I am not a fan of combining seafood and cheese. 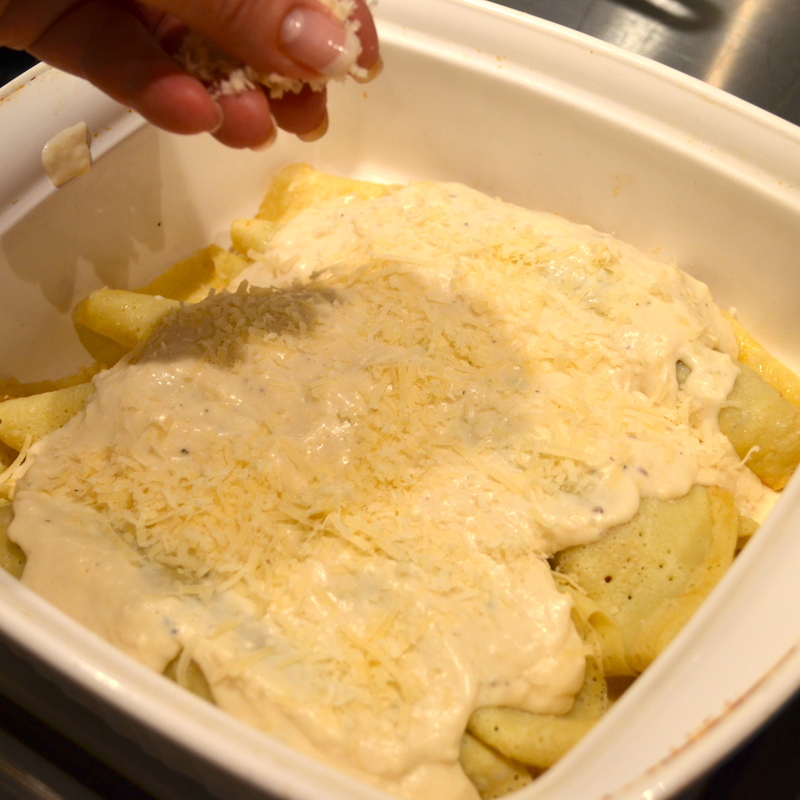 However, in this case, I think the cheese adds a nice finish and helps the white sauce to brown nicely. 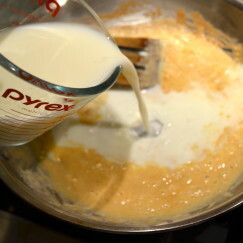 Place the crepes in the oven and bake about 15 minutes or until the crepes are heated through and the cheese is golden. Garnish with a little minced chives and serve with your favorite vegetable on the side. And don’t forget some lovely flowers for your candlelit table. 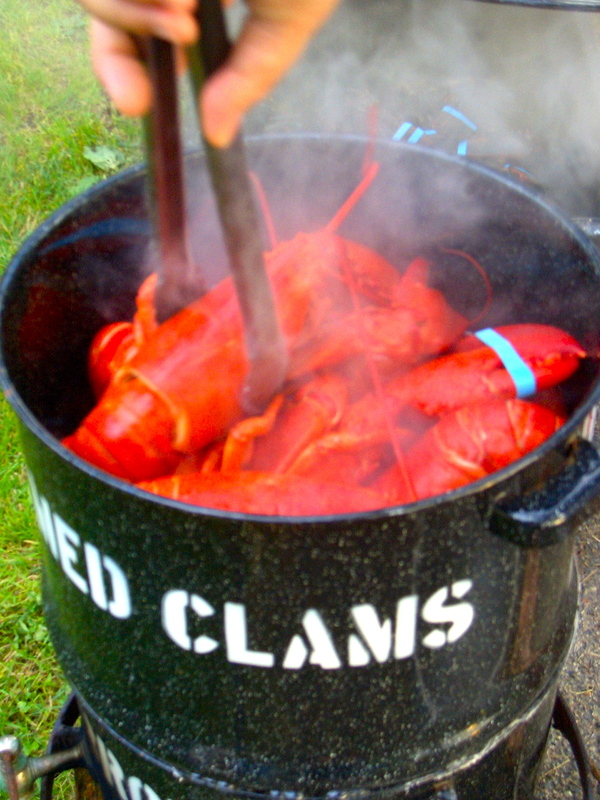 And that’s how to make a romantic Valentine’s Day dinner for the one you love. Cook up a special treat for a special someone on Valentine's Day. 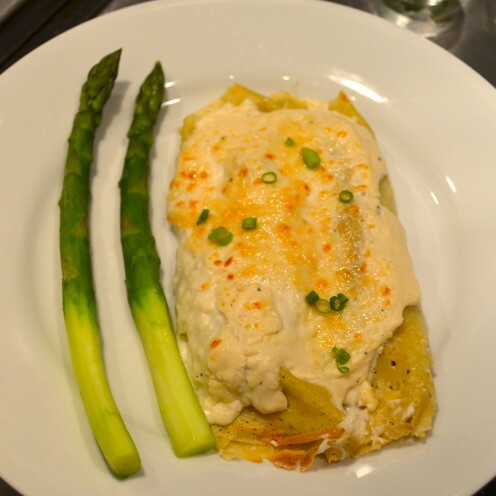 Prepare these delicious Lobster Crepes for the one you love. 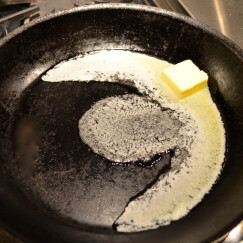 Melt 3 tablespoons of butter in a large skillet. 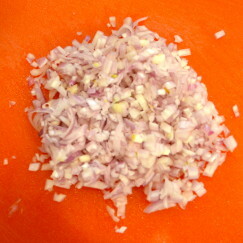 Add minced shallots and cook until tender and translucent. 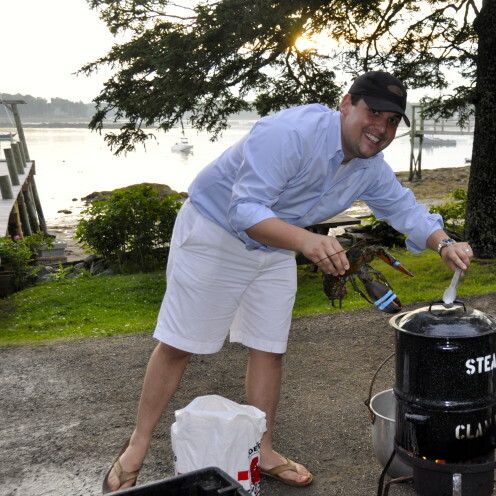 Simmer on low until reduced in half. Melt butter in a medium sized skillet. Whisk in ¼ cup flour. 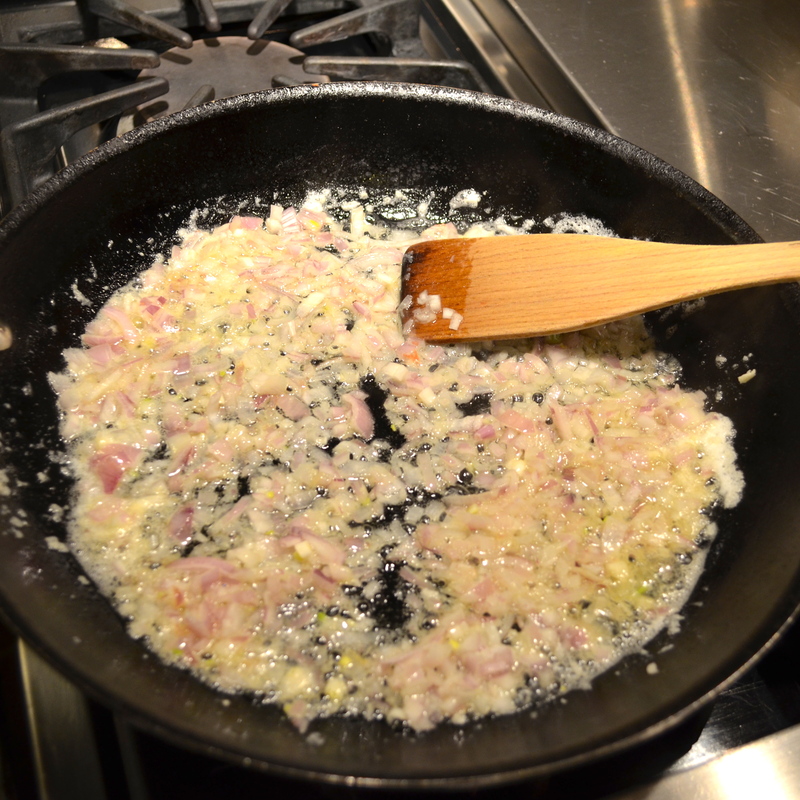 Cook, whisking constantly until thickened and slightly browned. Whisk in 1 cup half and half. Cook on low heat, whisking constantly until sauce is thickened. 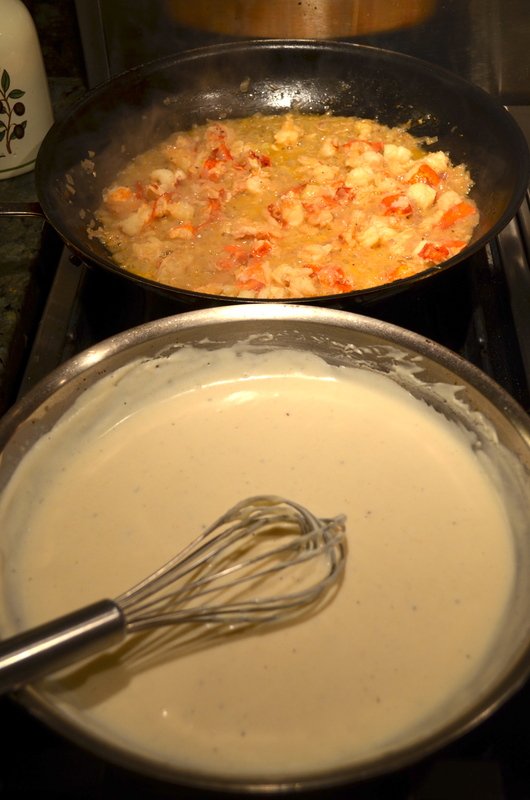 If sauce is a bit thick add more half and half to achieve a smooth consistency. Place a crepe in a prepared baking dish. Spread ¼th of the lobster into the center of the crepe. Roll crepe up, folded sides down. 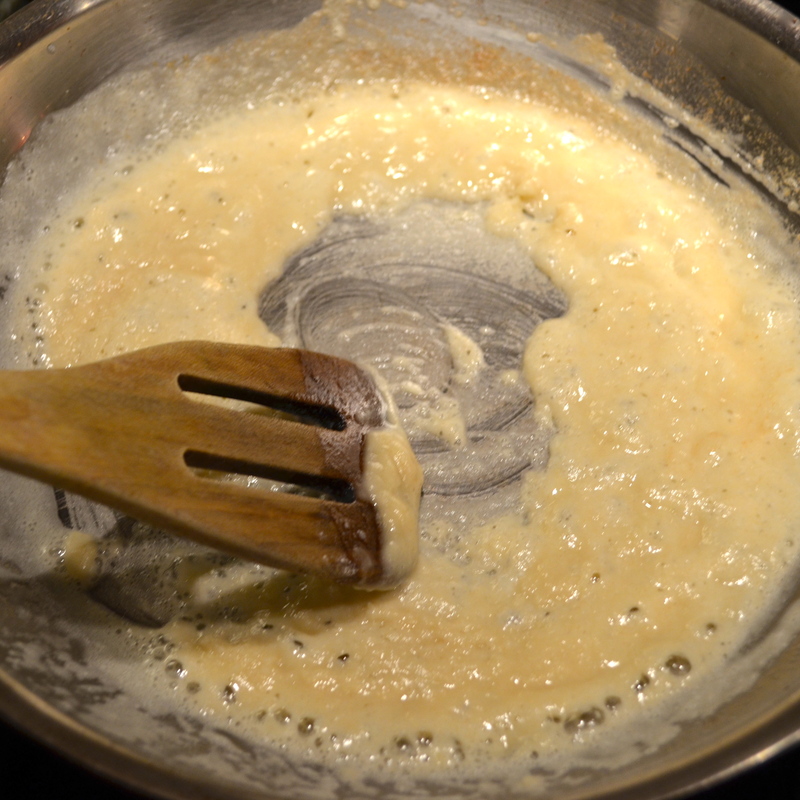 Spread cream sauce on top of crepes. Sprinkle on grated parmesan cheese. 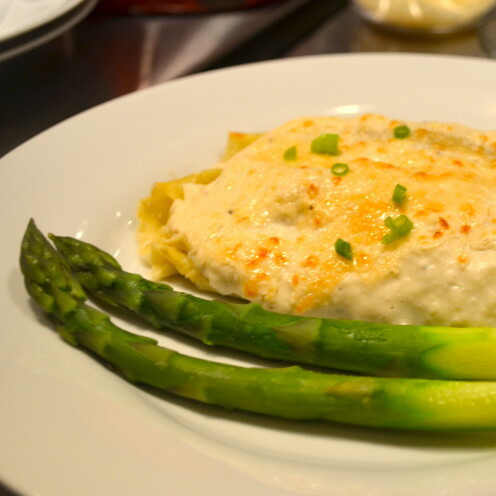 Bake for 15 minutes or until cheese is slightly browned and crepes are heated through. You can find my recipe for Crepes, (Spanish Filloas) in the "Cook" category of www.AfterOrangeCounty.com.